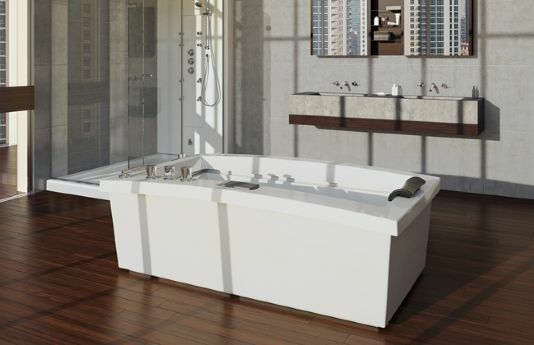 The Maax 7242 F Freestanding Soaker Tub is a trendy symmetric bathtub with an urban, minimalist style. The Urban F has stylish pure lines with a comfortable, innovative and ingenious design. Call 800-720-1062 for more details.